The wedding video starts with a picturesque view of the city of Cebu, Philippines. 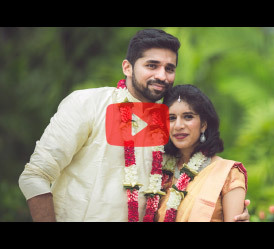 It then leads the viewer, rather dreamily into introducing us to the couple-Mahesh Moorjani and Natasha Sajnani, all smiling while getting ready for their big day. The soft focus face shots along with various other slow motion ones give it quite a cinematic and larger than life appeal. 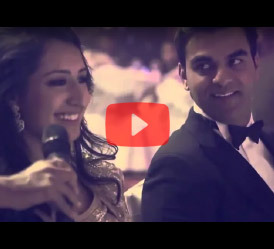 The whole wedding video is a beautiful peak into the couple’s wedding day followed by the fantastic interspersing of shots that slowly leads the viewer into getting to know the traditional Indian customs leading to the eventual wedding. What’s differentiates this video than any other ones is that it doesn’t follow a chronology of events. The viewer is not only exposed to the celebrations and grandeur of the event but also shows the true feelings and emotions that bride and groom goes through during their wedding. The beautiful locations of the Shangri La Hotel Mactan Hotel, Cebu just add to the true opulence of the whole celebration. The unabashed dance moves of the couple, the following pool wedding interspersed with colour-coordinated designer ensembles, celebrates the fun and free-spiritedness of the modern couple who truly are seen to be enjoying each rituals following up to their wedding day.